We need lots of helpers on election day, 22 May 2014. Please take the day off work and come and help. There are also by-elections on 27 March and 10 April. 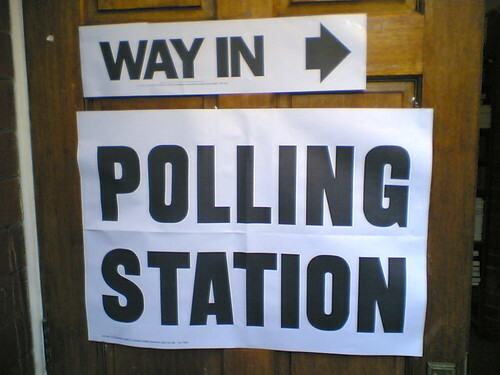 There are two sets of important elections on 22 May. Given enough votes across South East England, we can send two Greens to work hard for us in the European Parliament. And in Oxford we are on the way to becoming the official opposition to the Labour administration. Please come to Oxford to help. We will assign volunteers to particular committee rooms during the day. In the evening the ballot boxes are opened in Oxford Town Hall. If you cannot make it to Oxford, we need help in Banbury, Ducklington and Bampton. If you want to practice, or see what happens on an election day, come along to one of the by-elections being held soon. On 27 March 2014 Colin Tudge is standing for the county council seat of Chalgrove and Watlington. On 10 April 2014, Kevin Harris is standing for the Vale of the White Horse council seat of Wantage Charlton. There's a little competition. See how many smiles you get from voters there when you smile at them. When you RSVP below, you will then be sent to a page to indicate your preferences in how you can help. Please complete that page. We will get back to you with specific details about when and where you will be helping on 22nd May.